The GS-CDR Series are room carbon dioxide gas detectors. These devices provide precision measurement of CO2 gas. 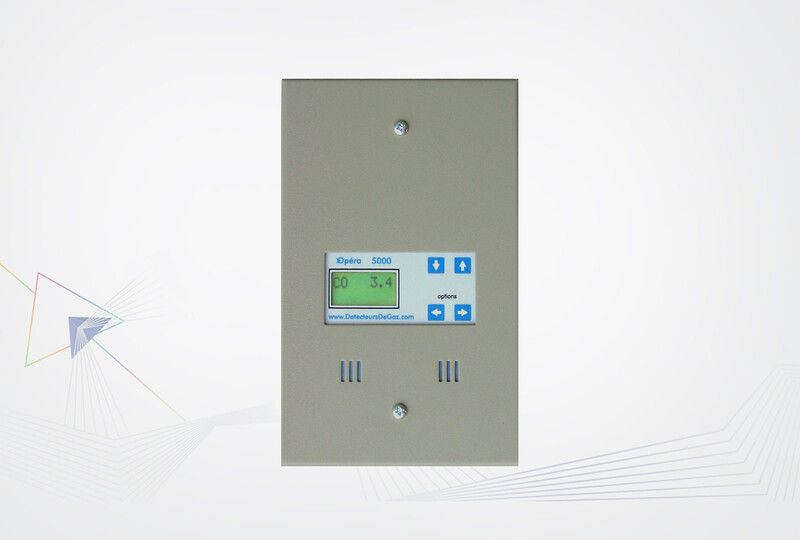 The GS-CDR Series are room carbon dioxide gas detectors. These devices provide precision measurement of CO2 gas. 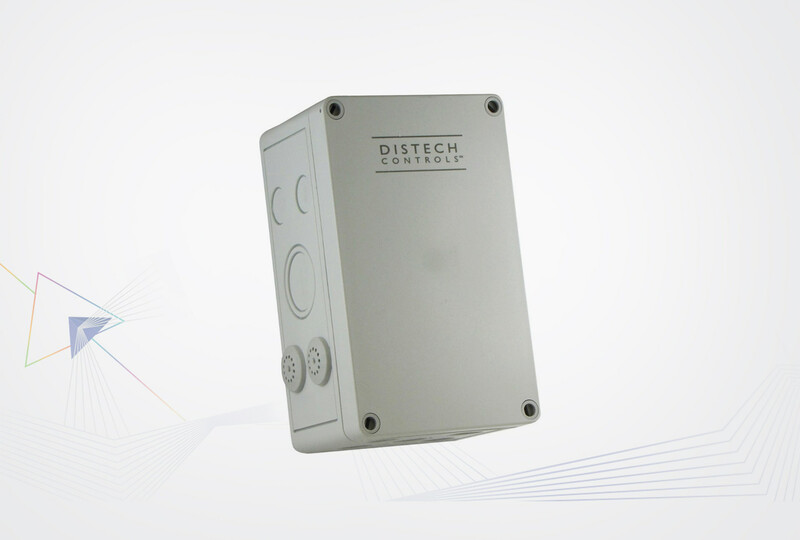 The GS-CDR series uses a highly accurate and reliable Nondispersive Infrared (NDIR) sensor combined with state-of-the-art digital linearization and temperature compensated circuitry in an attractive, low profile enclosure for room applications to monitor room CO2 levels. A linear analog signal output of 4-20 mA, 0-5 or 0-10 Vdc is provided for connection to a building automation system. Optional features such as temperature sensor, setpoint adjustment, manual override and adjustable relay output are available. 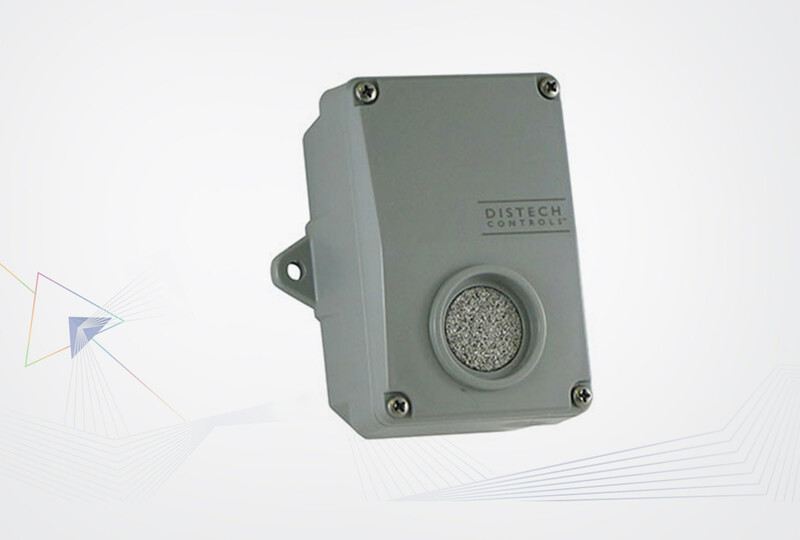 The GS-CDD Series are duct carbon dioxide gas detectors. These devices provide precision measurement of CO2 gas. 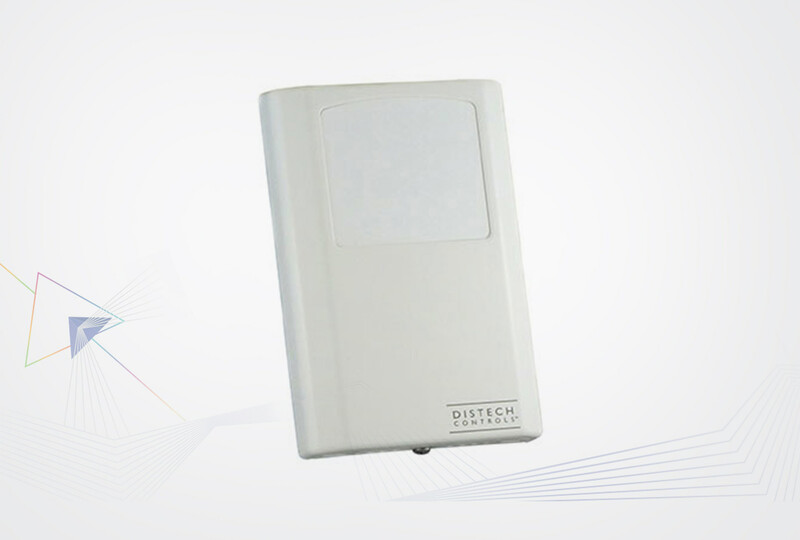 The GS-CDD Series are duct carbon dioxide gas detectors. These devices provide precision measurement of CO2 gas. 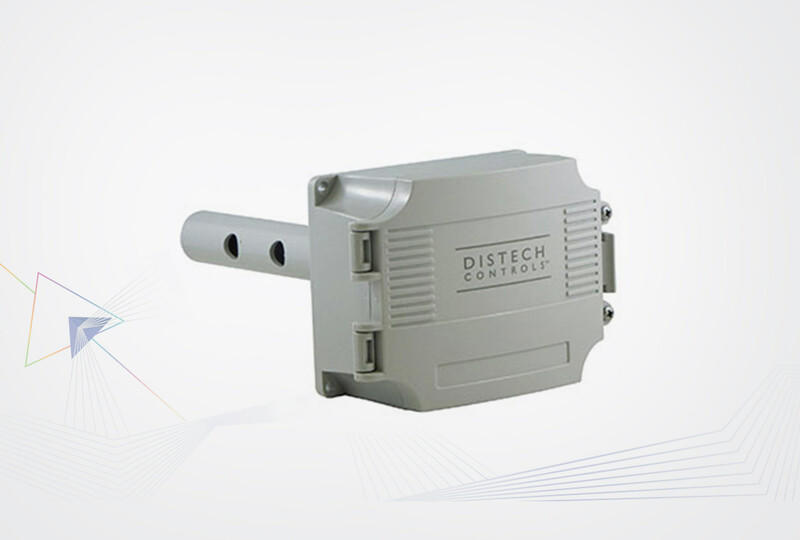 These sensors use a highly accurate and reliable Non-dispersive Infrared (NDIR) sensor combined with state-of-the-art digital linearization and temperature compensated circuitry to monitor duct CO2, levels. The duct CO2 transmitter principal of operation is based on the Venturi effect of the probe that extends into the HVAC duct. Air flowing through the duct is forced into the vent holes on one side of the probe, into the enclosure, over the CO2 sensor and then the air is drawn back out of the enclosure via the vent holes on the opposite side of the probe. 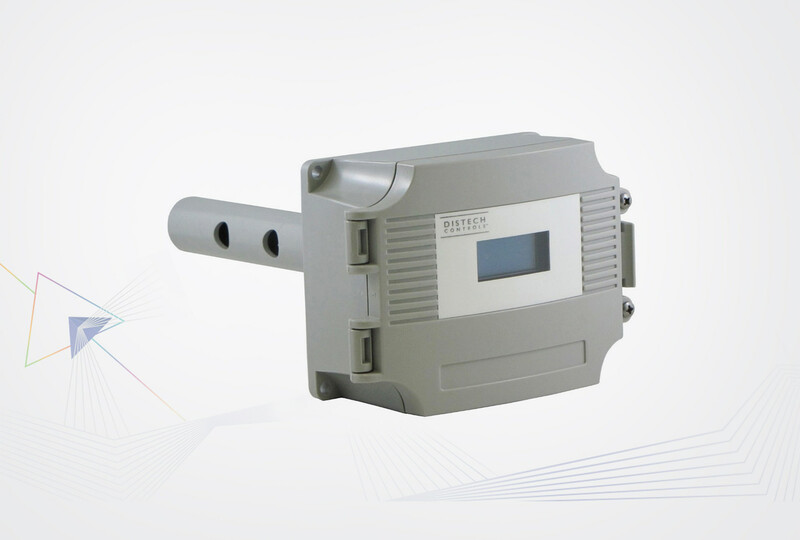 Optional temperature sensor and adjustable relay output is also available. 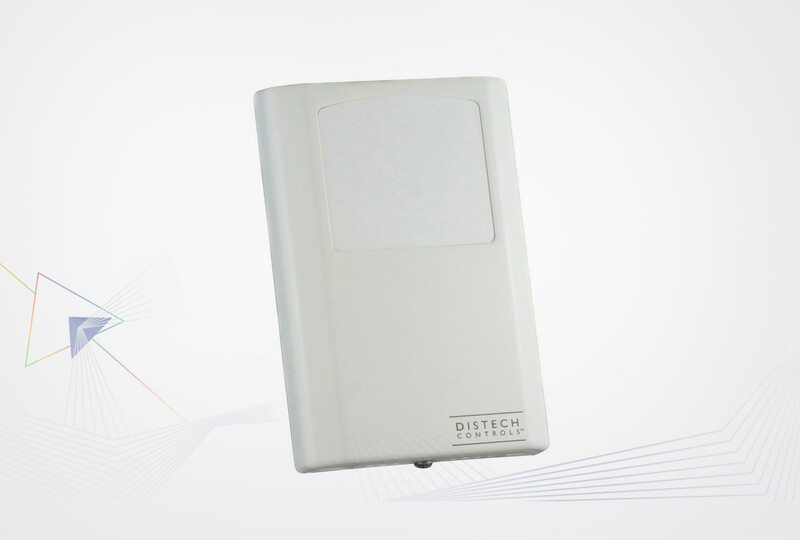 The GS-CDHTD Series are duct temperature and relative humidity CO2 detectors. 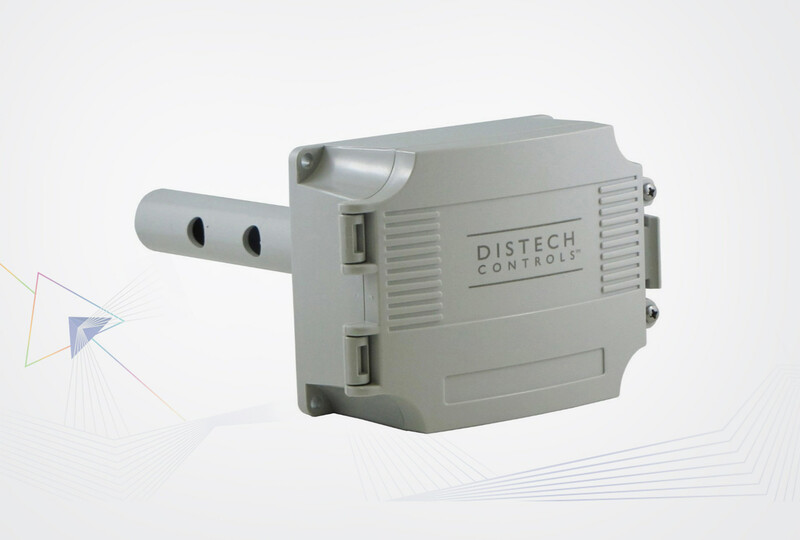 They use a highly accurate and reliable non-dispersive infrared (NDIR) sensor to monitor CO2, a precision thermistor to monitor temperature and a thermoset polymer based capacitance sensor to measure humidity level. 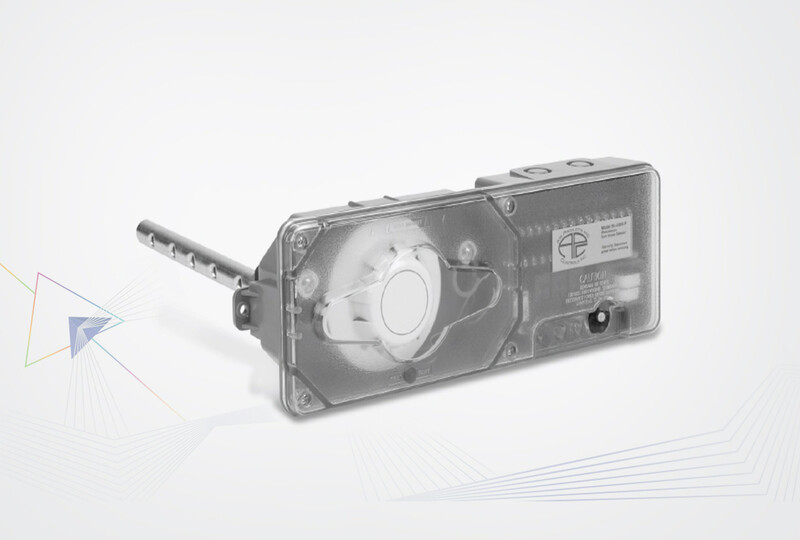 The GS-CMB Series are carbon monoxide gas detectors. They use an electrochemical sensor for reliability and accuracy in even the most critical applications. The standard product features a 2-wire loop-powered output. 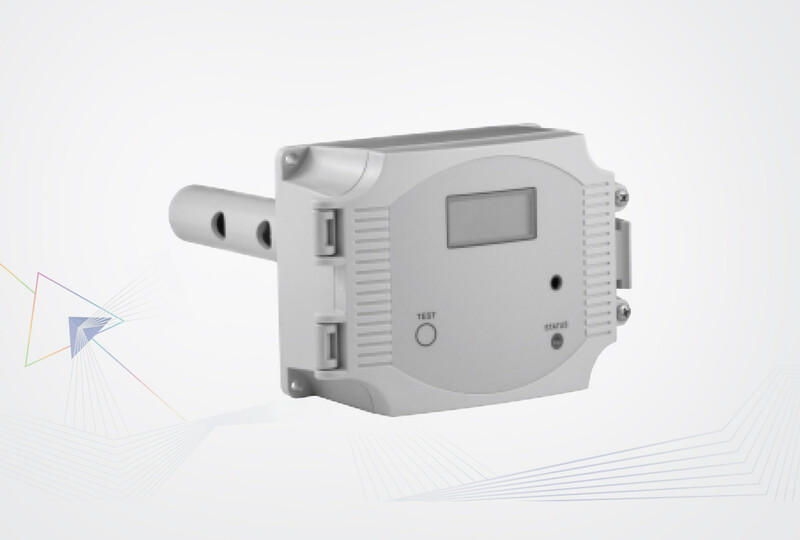 Optionally, the device may be configured with an alarm relay which operates in 3-wire sourcing mode and/or with Modbus communications. 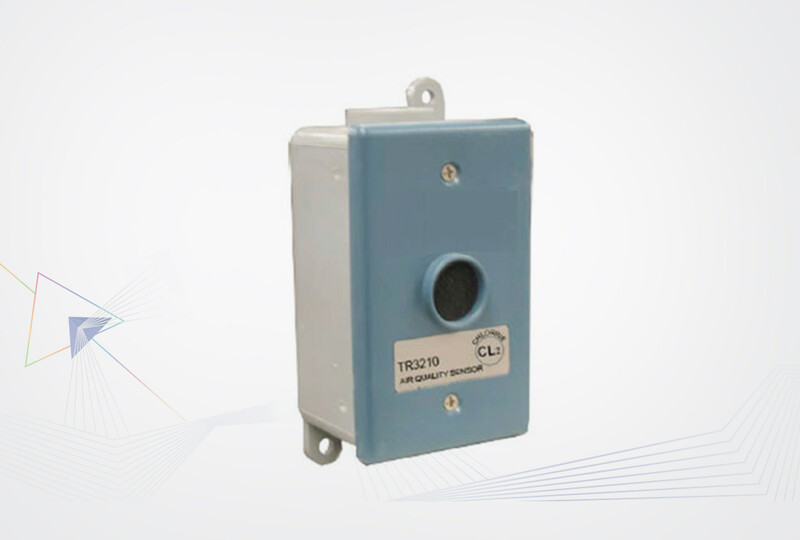 The GS-TR3210 Series are high accuracy, electrochemical gas transmitters that can be factory configured to measure chlorine, oxygen, or nitrogen dioxide. 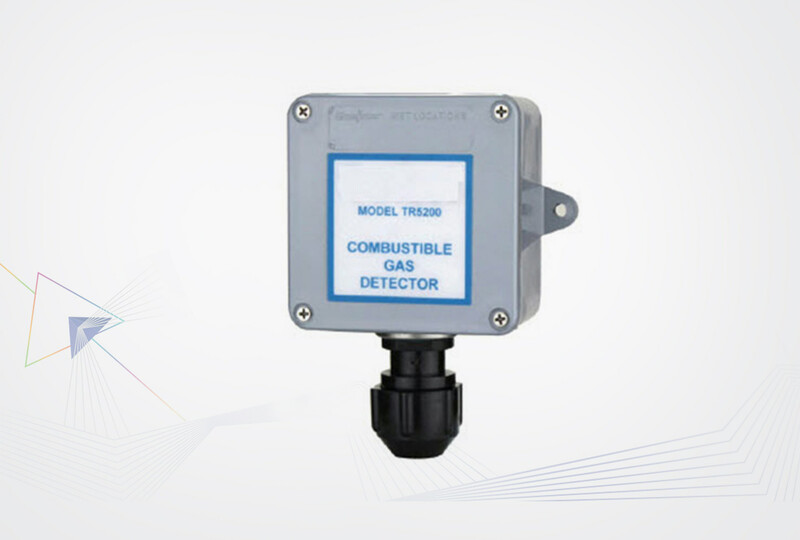 The GS-TR3210 Series are high accuracy, electrochemical gas transmitters that can be factory configured to measure chlorine, oxygen, or nitrogen dioxide. 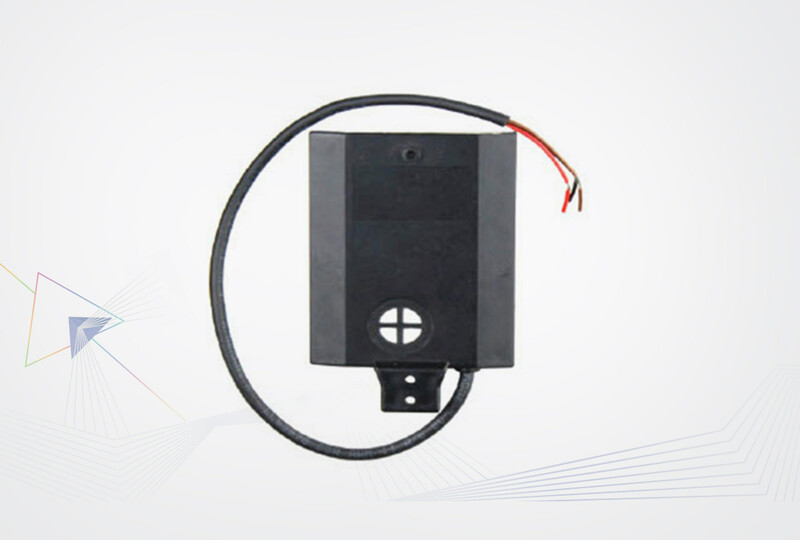 This loop-powered sensor delivers a linear 4-20 ma output that is easily integrated into any building control, ventilation or alarm application. The low profile design can be attached to any single gang electrical box and features an economical and easily replaceable sensor element. The GS-AQR, Indoor Air Quality Sensor Series uses an advanced MEMS metal oxide semiconductor sensor to detect poor air quality. The sensor reacts quickly to detect a broad range of VOCs such as smoke, cooking odors, bio-effluence, outdoor pollutants and from human activities. The GS-AQD, Indoor Air Quality Sensor uses an advanced MEMS metal oxide semiconductor sensor to detect poor air quality. The sensor reacts quickly to detect a broad range of VOCs such as smoke, cooking odors, bio-effluence, outdoor pollutants and from human activities. The GS-5000 series of gas detectors are designed to continuously send gas measurements to programmable logic devices, ventilation controls and computers.